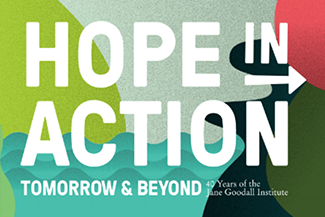 In her message for Peace Day this year, Dr. Jane reminds us that, “sadly, the world is not a very peaceful place in so many places around the world.” But there is hope…there is always hope. Especially if we stand up for those around the world who are fleeing persecution and violence. They need us to stand TOGETHER now more than ever. Each year, the UN chooses a new theme for Peace Day, to rally the international community around, signifying their determination to achieving global peace. The 2017 theme is “Together for Peace: Respect, Safety, and Dignity for All” which shines a light on the UN global initiative TOGETHER. 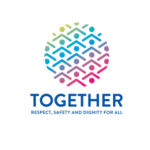 TOGETHER inspires a collective effort to promote tolerance and support for refugees and migrants. Now, more than ever, refugees all over the world need support from the International community. In their 2016 report, the United Nations High Commissioner for Refugees (UNHCR) reported that the number of refugees globally has reached 22.5 million, with only 189,300 resettling in other nations. Of that 22.5 million, just over half (51%) are under the age of 18. That means that young people are forced to leave everything behind to escape conflict or persecution in their home countries. With dreams of establishing a better life, many displaced persons remain stuck in refugee camps for years. They face fear and discrimination from countries that could provide them asylum and have limited access to resources, jobs, and education. But Dr. Jane says there is hope…and there is. It can be found in the bright, compassionate minds of youth determined to make the world a better place for all. This month, in honor of International Day of Peace, we are proud to shine a light on an amazing group of Michigan high schoolers who are working to help find homes for refugee children in their community. Traverse City West Senior High YoungPeacebuilders Club members have been working with community organizations and caseworkers to help find foster families for refugee children on their way to the US. Many of the refugees arriving are the same age as the Roots & Shoots club members who began their project by completing an awareness exercise to imagine what it would be like if they too lost everything and had to start over. Group members wanted to build acceptance, trust, and compassion between community members and refugees. Through their community mapping exercise, they discovered all of the tools available to them to spread their positive message. They contacted the local news station, distributed paper fliers, and raised their voices on social media. Their work was quickly recognized — Michigan’s 9&10 NEWS wrote an article celebrating their efforts and their role as leaders in their hometown. The YoungPeacebuilders truly exemplify the determination and creativity necessary to tackle the world’s big problems. You too can stand TOGETHER with Roots & Shoots members all over the world to celebrate #PeaceDay. 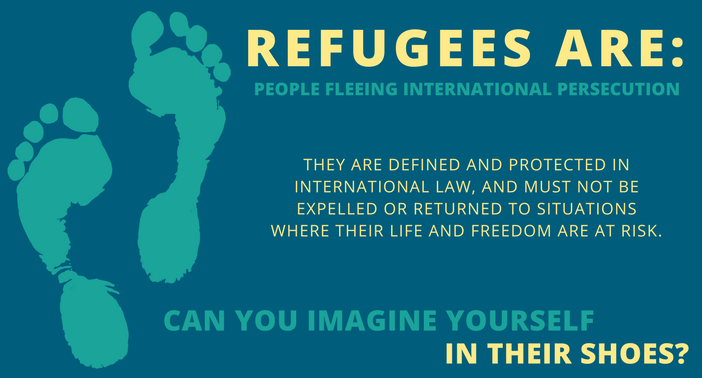 Join your global peers and the YoungPeacebuilders in a 1-click campaign to raise awareness about refugees. Raise your voice on social media! 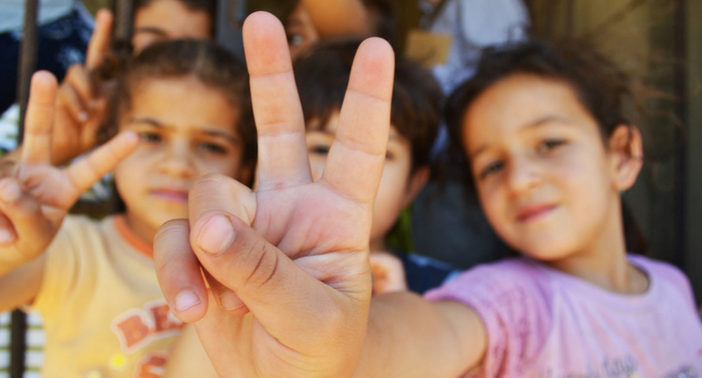 Join Roots & Shoots Facebook Communities to discuss #refugees and #PeaceDay. Build a Giant Peace Dove, a Peace Pole, or explore other Peace Day activities at rootsandshoots.org/peaceday. Join Roots & Shoots and start designing a project that addresses an issue that’s important to you.